The R108 road crosses the east end of Fourknocks ridge. Here it is the boundary between the townlands of Herbertstown and Tullog although the boundary on the 1836 O.S. map is shown one field further to the west. 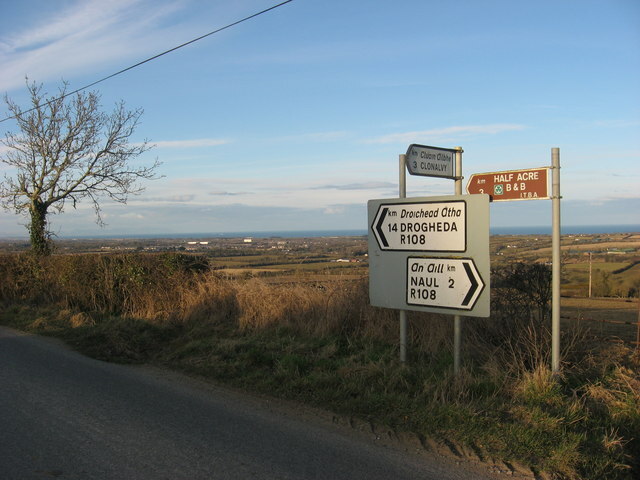 This point affords great views over east Co. Meath looking towards the sea O1362 : View from Tullog, Co. Meath.